HÀ NỘI — Việt Nam lost to Malaysia in the semi-finals of the AFF Championship in Indonesia yesterday. Malaysia took the lead in the fifth minute in a match that was punctuated by fouls. In the 19th minute Việt Nam were awarded a penalty, but Thành Tín failed to score. Malaysia then doubled their lead seven minutes later, but Vũ Quốc Hưng pulled on back for Việt Nam in the 30th minute. 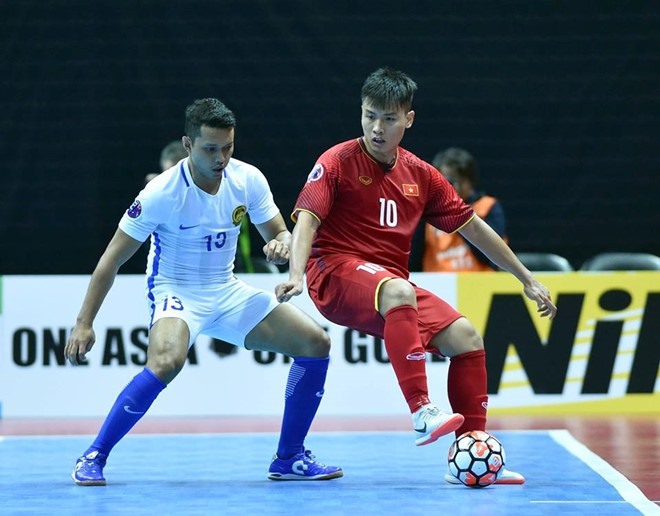 To add to the drama, Thành Tín evened the score at 2-2 in the final minutes, but fortune was against Việt Nam, and with the scores still level after extra time, the game went to penalties where Malaysia prevailed.